Hey, you heard me with Ramli on his podcast Growth Marketing Today! Cool. Can I show you what I promised? 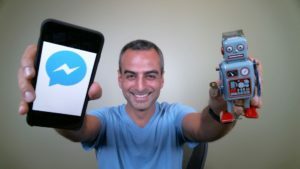 Click the button below to try out my chatbot and I can go even more in-depth on how you can use this to grow your business. 2019 © Bot Academy ™. All Rights Reserved.